Bruce and Barbera Neyers began Neyers Vineyards and Winery in 1991 in the heart of Napa Valley. The move to start his winery was a long time coming. 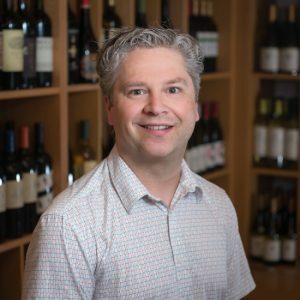 Bruce gained experience working in a variety of wine related positions; a French import company, as an apprentice winemaker in Germany and a 17 year stint at Joseph Phelps Vineyards. In addition to owning and operating a winery, Bruce is also the national sales manager for the importer Kermit Lynch. Bruce`s experience with French wines thanks to working with the Kermit portfolio has had an obvious influence on his own techniques in the vineyard and winery and this shows in the resulting wines. 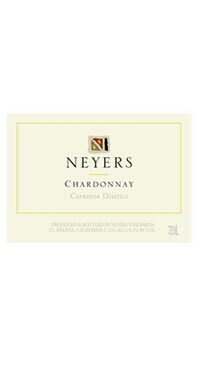 The Neyers Carneros District Chardonnay comes from fruit grown on three parcels. It is a dazzling Chardonnay to consume over the next 2-3 years. This Chardonnay was aged completely in French oak (one-third was new), enjoyed full malolactic fermentation, and was bottled without filtration. With complex leesy notes combined with citrus, roasted hazelnuts, and candied apricots. On the palate flavors of brioche, mango, minerals, and clove emerge in the mouth. This full-bodied wine seems fruit-driven with lingering wisps of oak in the finish. Sourced from 3 different vineyard sites, this perfectly balanced wine shows ripe tropical fruit with toasty vanilla and baking spice. Surprisingly fresh on the finish. This multi-layered Chardonnay pairs perfectly with lobster or any white meat you’re BBQ’ing tonight. It has been known to be enjoyed on its own in the past!